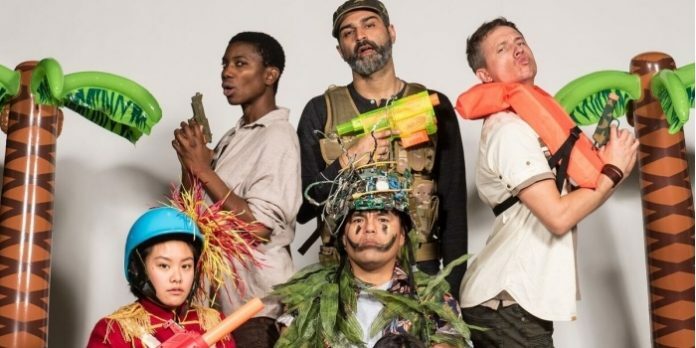 Based on the multi-award-winning German radio play by Wolfram Lotz, The Ridiculous Darkness is a satirical, modern mash-up of the classic novel Heart of Darkness and the Oscar-winning film Apocalypse Now. The Ridiculous Darkness is the story of a Somali man, charged with piracy. His case is soon interrupted though by two western soldiers entering a foreign land, and ordered to retrieve a fellow officer who has gone rogue. As the two soldiers set out on their journey there encounters with the communities along the way set-up an earnest, yet hilarious, exploration of how difficult, yet vital, it is to understand each other. Nothing in small measures with The Ridiculous Darkness, the production will include participation from a large number of community groups. 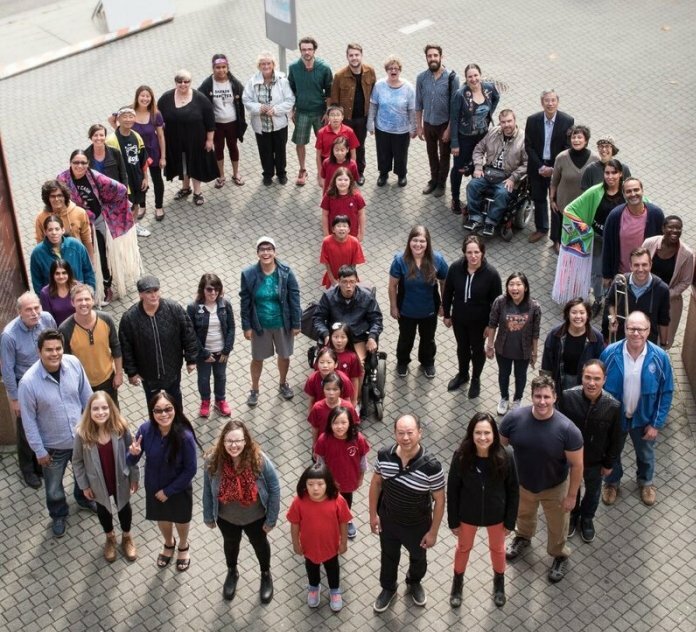 Included among them are Theatre Terrific, Tetsu Taiko, Richmond Youth Honour Choir, Downtown East Side Street Market Society, Downtown East Side Vendors Collective, Afghan Benevolent Association of BC, Realwheels Theatre, and the East Van Powwow Crew. In return for their participation, thirty percent of all ticket revenue will go directly back to these organizations. The Ridiculous Darkness is a large scale production including a number of Vancouver community groups. Photo by Wendy D Photography. For co-director Nyla Carpentier it was the play’s scale that first attracted her, but she also points to the satire within. 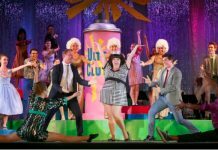 Adapted by Alley Theatre’s Daniel Arnold, the idea for this type of show came from a production in New York co-created and performed by a variety of professional actors, community members, and performance groups. Vancouver Presents was live inside the rehearsal room with the company of The Ridiculous Darkness to find out more. The Ridiculous Darkness plays The Annex (823 Seymour St, Vancouver) November 11-19. Visit http://alleytheatre.ca for tickets and information. We are live at The Annex in downtown Vancouver with the company of Alley Theatre- Vancouver’s The Ridiculous Darkness.A multi-award-winning German radio play adapted for the stage by Alley Theatre's Daniel Arnold, The Ridiculous Darkness is a satirical, modern mash-up of the classic novel Heart of Darkness and the Oscar-winning film Apocalypse Now.The Ridiculous Darkness plays The Annex ‪November 11-19.‬ Visit http://alleytheatre.ca/productions/the-ridiculous-darkness/ for tickets and information.